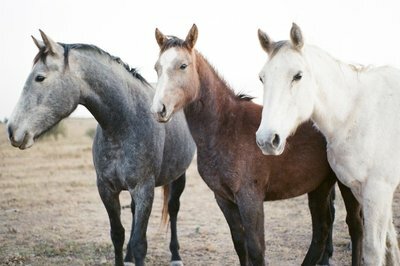 They say diamonds are a girls best friend, but it’s important to realize that not all diamonds are made equally. Today we wanted to provide the diamond shopping cliffs notes to remember about the sparklers should you ever be in the market! Let’s talk about the Four C’s! Color: Getting a D in school was never something to celebrate, but getting a D (or colorless) diamond is the best you can get! When looking for a diamond, you want one that is color rated by the GIA, not just by the store that sells it. If you aren’t sure about the color grade you are being shown, ask the jeweler to compare to their in house master color set. 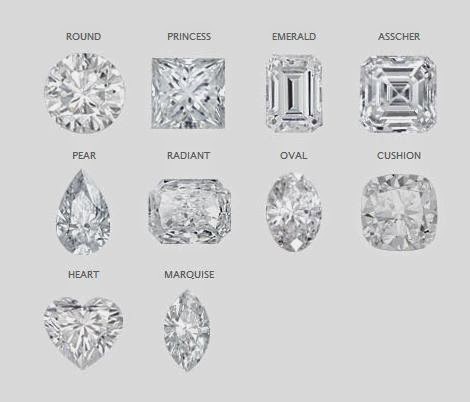 This is a standardized set of CZ’s (cubic zirconia). 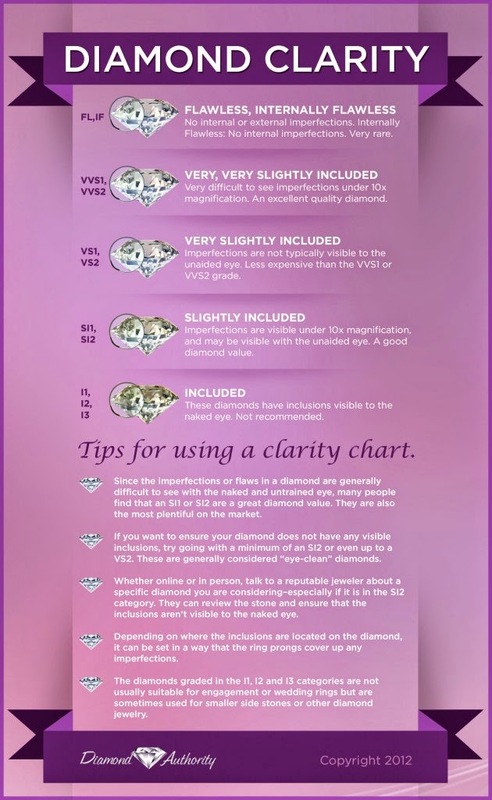 By comparing your diamond you should be able to see where it fits in the GIA color spectrum. Definitely ask to see a GIA grading report for any diamond you are considering purchasing. Buyers tip: Try to stay between D and J and you will have a colorless or near colorless diamond. Cut: Cut is talking about facets, proportions and brilliance. It’s also the most difficult to define and often misrepresented. A couple of things to keep in mind when looking at cuts. Typically the more facets, the more sparkle. Make sure you compare a few diamonds (loose, not already mounted into a ring) in the cut you are looking for. Buyers tip: To get the appearance of a bigger diamond, look for a diamond with more width and less depth. Often diamonds are cut with more depth making a 1 carat diamond appear much more like a .9 carat diamond. Clarity: Think of clarity like your skin, the less blemishes or inclusions the better. Most imperfections are not even visible to the naked eye, but they impact the worth and sparkle of your rock. Here is a great guide to understanding clarity! Carat: This is the bigger the carat, the more valuable, but take a look at how the carat weight is distributed. as we mentioned before, a deep cut diamond will have more carat weight hidden in the depth as opposed to exposed in the width. Choose a diamond first and then put that diamond into a ring setting. It is impossible to accurately judge the clarity and color of a diamond once it is set. Flaws can be hidden by prongs and color can look different based on whether it is set in white, yellow or rose gold. Check exact carat weight because often times they can be rounded up. Ask for the exact carat weight and and the price per carat to help with making comparisons. Don’t be fooled by sales. A diamond almost never sells for less than it’s value, just less than it’s marked up price. 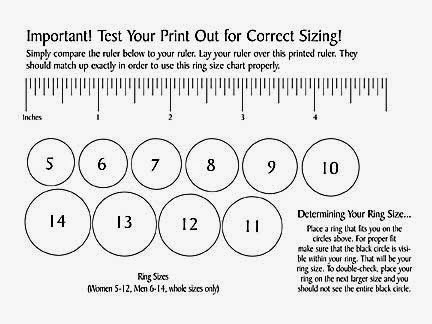 Finally, just in case you may be in the market for a ring, but you haven’t had your ring sized lately, click here to print this ring size chart.